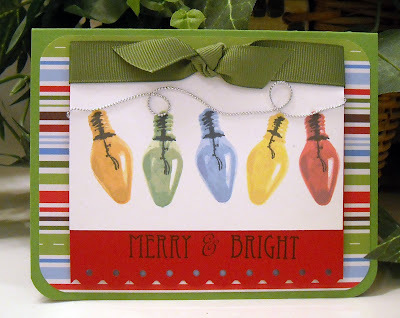 Today's Tip: Use one color of cardstock and embossing powder for instant glitz! First, I have to apologize for my somewhat dark photo...for some reason the shine on the embossing powder made my cheapy digital camera flash freak out and every photo I took was washed out...too much flash! So I had to resort to desperate measures (seeing as I was taking my photo in the dead of night and there wasn't any hope of natural sunlight) and turn off my bright overhead lights to force my flash to behave! Anyway...the inspiration for tonight's card came from Mary Fish. 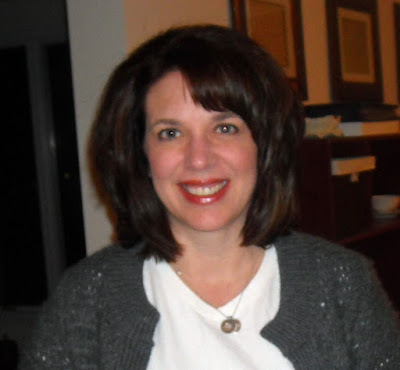 I'm not quite sure how I stumbled upon Mary's blog but she is one seriously talented stamper and a recent member of the SCS Dirty Dozen. 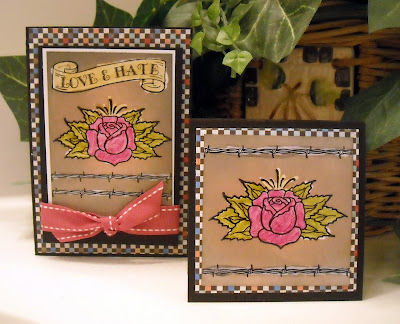 I was browsing through their latest gallery when I saw a wonderful card created by Mary. 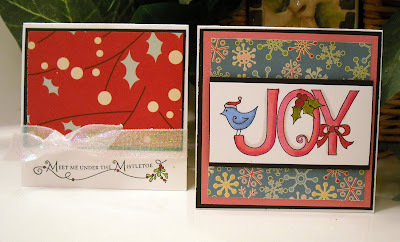 She had used only red cardstock and silver embossing powder, the results were fabulous! I went with a deep plum and had originally thought about going with a holiday theme but while looking through my stamps, I realized that my poor Unity stamps have been left alone for far too long! 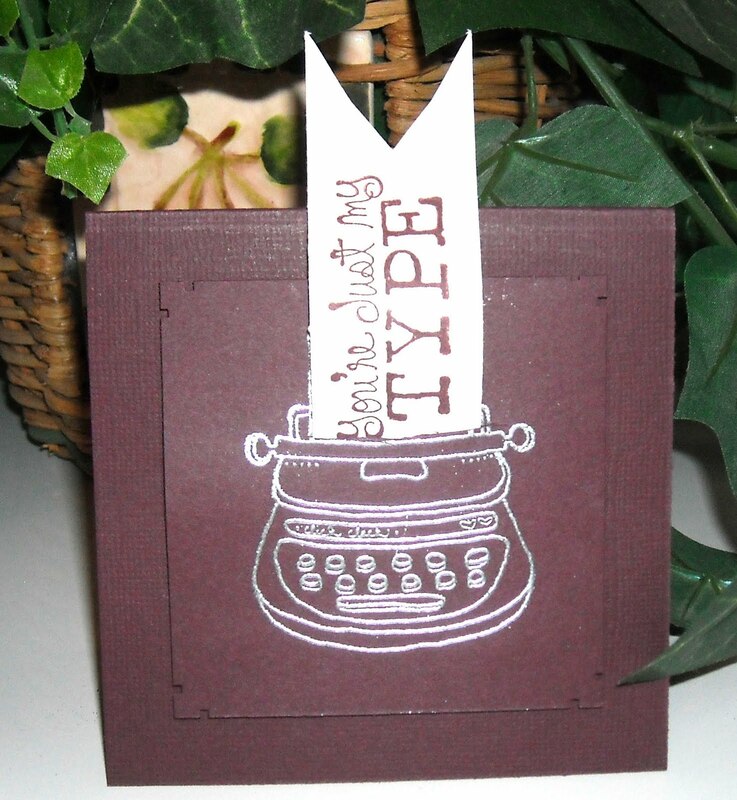 I belong to their Kit of the Month club and this cute typewriter image and sentiment is from their November kit. This is a small card, only 4"x 4", and after stamping and embossing the typewriter I realized I didn't have room for my sentiment. And that, ladies and...well....ladies (I've never had a gentleman visit my blog), is when a tiny bit of my own inspiration hit! I cut a slit into the top of the typewriter and inserted the sentiment so it looks like the typewriter is typing on the paper....Come on now...it's pure genius! Oh alright, having one good idea in years I should not brag about! LOL! One other thing about the card, that is difficult to see in the photo, is that the card base has a texture to it and the paper with the image does not. The difference is more obvious in person but I thought that, and adhering the image with dimensional tape, was a good way to add separation to the tone on tone affect. OK kids, enjoy your evening! I'll be back later this week with a fun scrapbook project to share! Labels: keep it simple sunday, unity stamp co. Happy Thanksgiving (a day late!) Sorry for the delay in posting...we were running around like crazy yesterday morning getting ready for our Thanksgiving celebration and then we were running around trying to comfort a sick child. Our oldest ended up spending his Thanksgiving with a fever and a bucket...poor boy. We felt so bad for him...so I took our youngest to our friend's house for a few hours (try to avoid the germs!) and then brought home lots of leftovers for my hubby and our sick one. Thankfully, he is on the mend today and will hopefully be able to enjoy some turkey for lunch. On to this week's SALT challenge, brought to us by Mona. You can read her write up on the SALT blog. Since yesterday was Thanksgiving here in the US, we spent part of the day considering all that we have to be thankful for...not that we're not thankful every day but it's good to really ponder how good God has been to us each and every day of the year. Our church has a Thanksgiving Eve service where we start by eating dinner together and then spend an hour singing hymns and telling the church about specific things we're thankful for...I thought I'd share what my husband wrote for the event. "In the last year, our family has had many changes to face, trials to endure, and blessings to enjoy. Throughout everything, one thing has remained consistent, God's mercy, love, and patience has been evident all year. We are thankful for the way He continues to sustain His church here in Exeter. 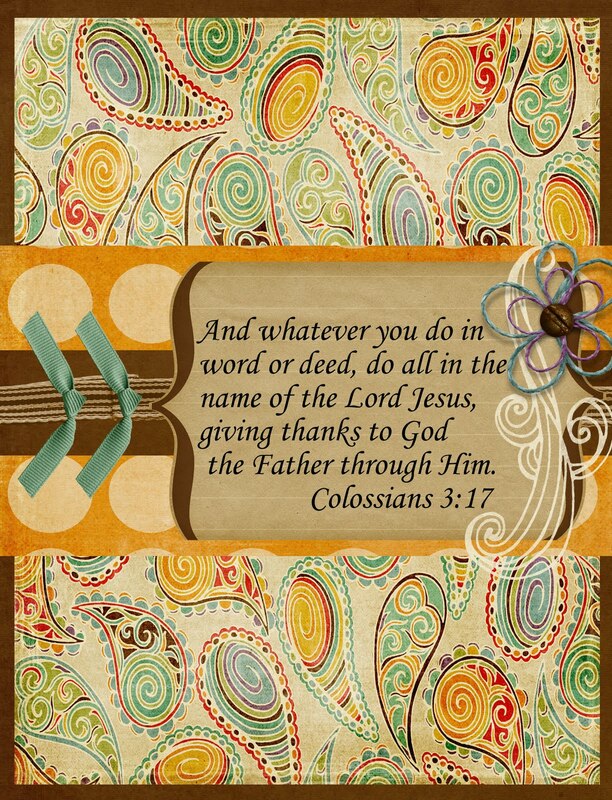 We are thankful for all of you, the fellowship and friendships we have here are such a blessing to us. Countless times when we have needed help in one way or another, you have been there for us, and we are grateful. This past year we also were faced with the tough decision to sell our house here in Exeter and despite listing our house in the dead of winter (in a down economy), we were able to sell quickly and find a suitable home just seven miles away. God provided just what we needed at just the right time. I am also thankful to God for my wife, and my two boys. God continues to bless our lives with love for each other, and a unified love for Him, which is certainly a reason to give Him praise and thanks." I also wanted to give praise to God for His faithfulness in preserving His children. I have found that this year, in particular, He has brought many of my faults to my attention and has exposed my weaknesses in a way that has caused me to rely more fully on Christ. I tend to be one of those "self-sufficient" types (you'll frequently hear me say, "I don't need help, I can do it myself!") and that attitude can come across in my spiritual life as well. It's been good (although difficult) to have God use ordinary circumstances to help me see how much I need His help. "My grace is sufficient for you, for My strength is made perfect in weakness. Therefore most gladly I will rather boast in my infirmities, that the power of Christ may rest upon me. Therefore I take pleasure in infirmities, in reproaches, in needs, in persecutions, in distresses, for Christ’s sake. For when I am weak, then I am strong." 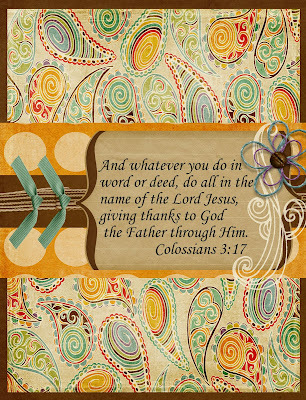 2 Corinthians 12:9-10 Hope that everyone had a wonderful Thanksgiving! We're thankful that our boy is feeling much better today and are looking forward to spending the day after Thanksgiving together as a family...with everyone healthy! :-) (On my card...it's digital! Tanis created a digital card last week and I thought it was a brilliant idea! This was a fun project to create! Enjoy! Scrapbook News & Review - November Issue is Live! Have you heard? The November issue of Scrapbook News & Review is live and offering pages of inspiring artwork, manufacturer spotlights, and articles outlining tips and techniques! Each issue holds over 300 images, layouts, and card samples...all for only $4.99/month! 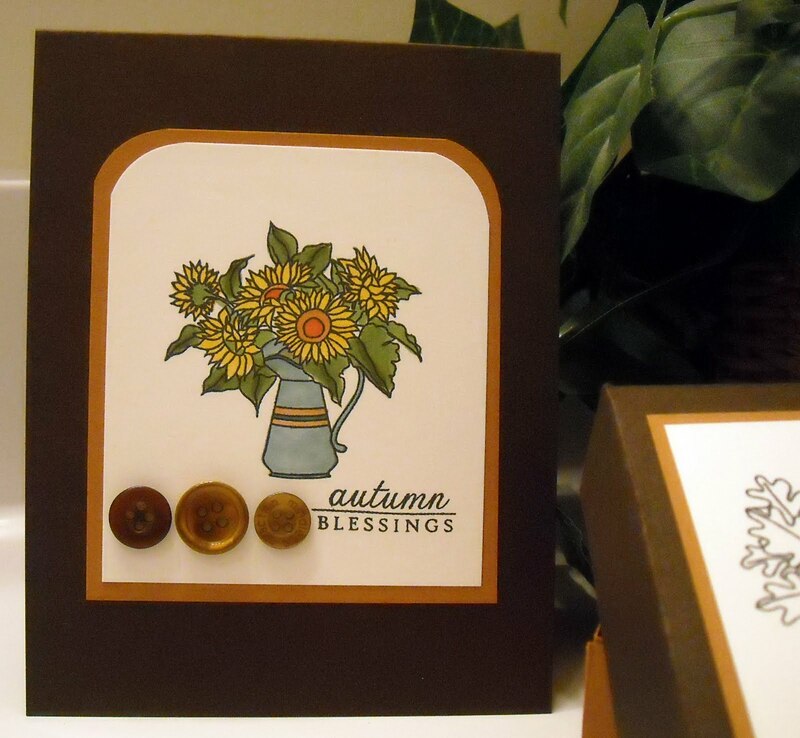 I've been working with the team on a "Back to the Basics" stamping series. The first month I discussed the basics of stamping; what somone who is just getting started in stamping needs to know. This month, I covered different coloring techniques and mediums, such as watercolor pencils, Gamsol, and Copic markers. 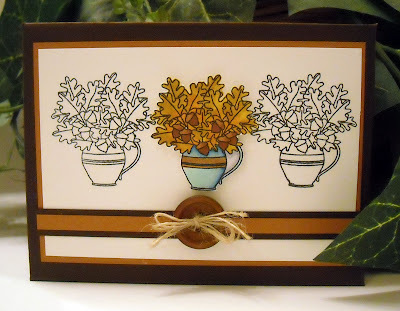 The card above was created for a section on using watercolor markers to apply ink onto stamps. I used one of my favorite SU! 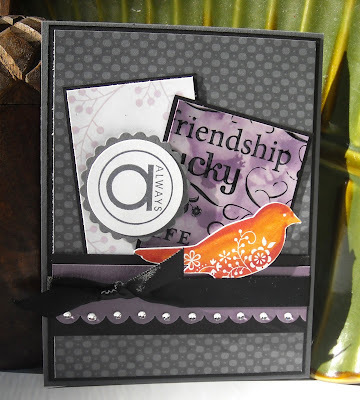 stamp sets for this card and the bird image was colored with markers before being stamped on my cardstock. The purple piece in the background also sports another technique; polished stone. You can check out the Back to the Basics article here. Next month we'll be covering the basics of embossing...so stay tuned! and fabulously textured thank you card! Tonight's card could not have been easier! 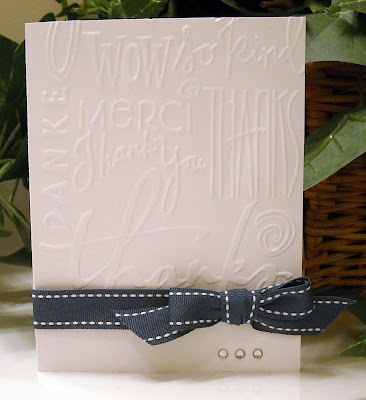 Plain white cardstock, a thank you embossing folder (love all those different fonts), delightful blue ribbon (from PTI), and three small rhinestones is all it took to whip out this simple card! And wouldn't this type of card be wonderful for mass production? Trying to tie my bow took the most time and it's still a bit wonky...LOL! 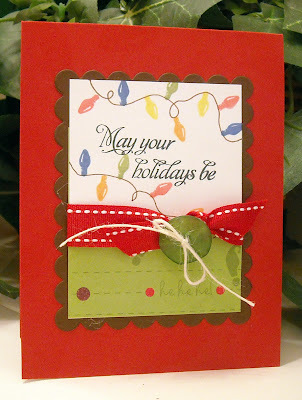 I also want to thank Joan at Paperlicious for the idea of embossing on a white card. Her card is pretty darn cute and a perfect example of a stunning Keep it Simple card! Enjoy! **NOTE** Scroll down for the SNR Blog Hop Post! Today's Tip: Keep it monochromatic! 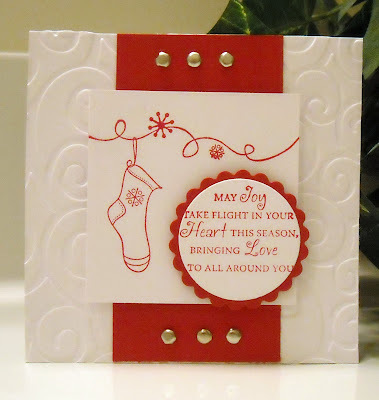 This week I was inspired by Becky Oehler's recent blog post, showcasing an adorable red and white card. So last night I decided to try my hand at my own red and white card and this baby took me about 10 minutes to make...from start to finish! Now that's what I call keeping it simple! This adorable set is from a recently released Taylored Expressions set, Wings of Joy. (This is one of the sets we used at Stamping Around PA and I'll be back later this week of photos from that darling project!) This set has a number of sweet images that can be mixed and matched. The swirly line is a stand alone image as is the stocking. I used the swirl to hold up my stocking but this same image would be great for swirling snow, to hold an ornament, or to mimic wind. 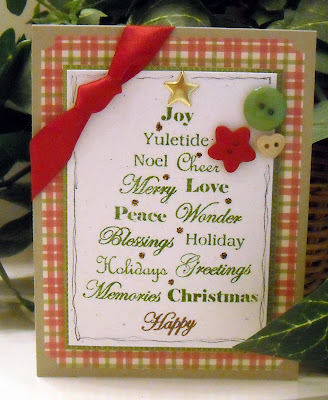 The sentiment is from the set, which includes five others that can also be mixed and matched. I ran my card base through the Cuttlebug for a little texture. The rest of the card details are self-explanatory! Conclusion - I love red and white together...it's fantastic! And it made for an easy card...thanks for the inspiration Becky!! Welcome to the next stop on the Scrapbook News and Review Magazine's A Faith Perspective Thankful for Friends Faith Blog Hop! You've found the blog of a Scrapbook News and Review Magazine Staff Member. In order to enter our grand prize drawing, be sure to put my name (Kim Schofield) on your list. To enter the grand prize drawing, simply hop to the blogs of all of the participating staff members of Scrapbook News and Review Magazine, take note of the staff member’s name, and leave a comment on their posts. Then send us an email at games@scrapbooknewsandreview.com listing each of the staff members who participated in today’s hop. On today's blog hop, we're celebrating the theme of friends and are happy to share our projects with you based on the verse: "Two are better than one, because they have a good return for their work: If one falls down, his friend can help him up. " Ecc4:9-10a If you're just joining in on the fun, you can find the start of the train at A Faith Perspective. And I'd like to thank our wonderful and generous co-sponsors: Layers of Color Stamps, Gina K Designs Stamps and Sweet ‘n Sassy Stamps who, along with SNR, are offering the following prizes: -One $100 gift certificate from Layers of Color Stamps AND a 6 month subscription to Scrapbook News and Review Magazine. -One basket of goodies -- four stamp sets from Gina K Designs and a 6 month subscription to Scrapbook News and Review Magazine. -One set of digital stamps from Sweet ‘n Sassy Stamps and a 3 month subscription to Scrapbook News and Review Magazine. I'm also giving away a one-month subscription to Scrapbook News and Review Magazine to one lucky visitor of my blog. To win, simply leave a comment on this post with your name and e-mail address. Comments and emails to SNR must be left/received by 12 noon, EST on Monday November 16, 2009. Winners will be chosen at random and notified by e-mail within 48 hours. 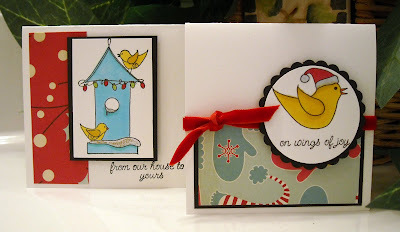 The next stop on this blog hop is: Mary Collins Card Details: I'm grateful to Godelieve for the creation of my "scrapling" card. 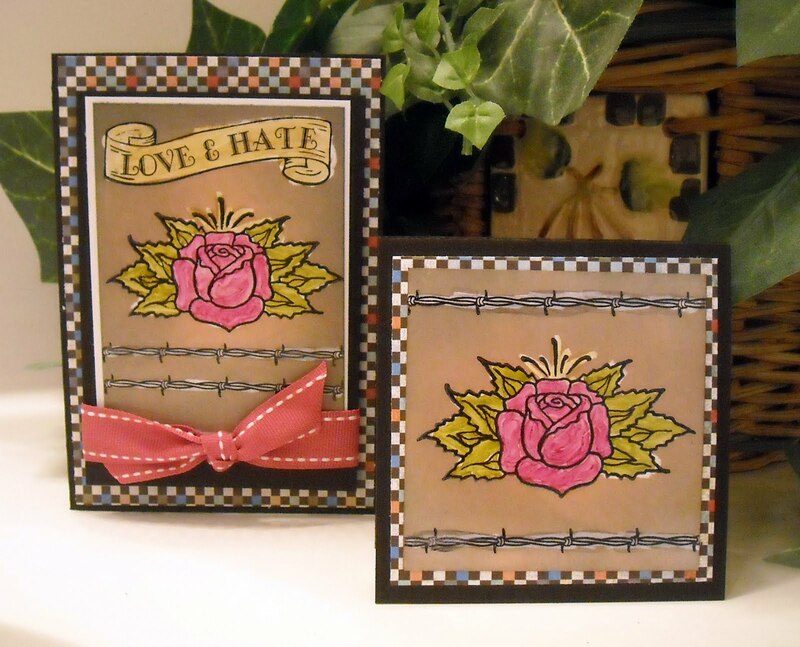 Godelieve has recently starting posting adorable cards on her blog, using left over scraps. She is my inspiration for this card (and a lovely friend!) All of the images used on my scrapling are from Papertryink. This week it was Lythan's turn to give us our challenge topic and she chose a timely one; be still and know that I am God, taken from Psalm 46. You can read Lythan's write up on the SALT blog. Since I used this same verse for our last challenge, I decided to find another one that would fit this week's theme of trusting God. 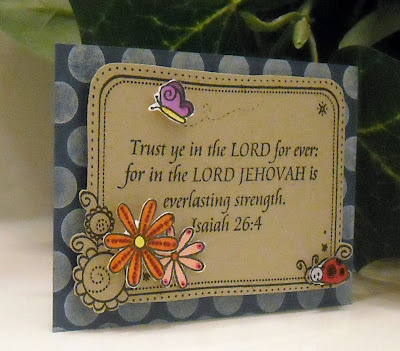 This one from Isaiah was a good fit and is part of a Sweet 'n Sassy set that I purchased at Stamping Around PA. I was happy that I could ink it up this week! Providentially, tonight at church we read through a short devotion from Spurgeon's Morning & Evening, which I really enjoyed. When I got home, I looked it up in my copy and lo' and behold this morning's topic went right along with our challenge topic so....I think I'll let Spurgeon speak for me tonight...he does have a way with words! Below are excerpts from the morning devotion from 11/11. "God - the eternal God - is Himself our support at all time, and especially when we are sinking in deep trouble. There are seasons when the Christian sinks very low in humiliation. Under a deep sense of his great sinfulness, he is humbled before God till he scarcely knows how to pray, because he appears, in his own sight, so worthless. Well, child of God, remember that when thou art at thy worst and lowest, yet "underneath thee are eternal arms" (Deuteronomy 33:27). Again, the Christian sometimes sinks very deeply in sore trial from without. Every earthly prop is cut away. What then? Still underneath him are "the everlasting arms." He cannot fall so deep in distress and affliction but what the covenant grace of an ever-faithful God will still encircle him. The Christian may be sinking under trouble from within through fierce conflict, but even then he cannot be brought so low as to be beyond the reach of the "everlasting arms" - they are underneath him; and, while thus sustained, all Satan's efforts to hear him avail nothing." "This assurance of support is a comfort to any weary but earnest worker in the service of God. It implies a promise of strength for each day, grace for each need, and power for each duty. And, further, when death comes, the promise shall still hold good. When we stand in the midst of Jordan, we shall be able to say with David, "I will fear no evil, for Thou art with me." We shall descend into the grave, but we shall go no lower, for the eternal arms prevent our further fall. All through life, and at it's close, we shall be upheld by the "everlasting arms" - arms that neither flag nor lose their strength, for the everlasting God fainteth not, neither is weary." You just have to love Spurgeon...What greater encouragement is there to trust in God then to know that His loving and everlasting arms are there to support us through whatever trial we may face. May He be gracious to grant us the strength to trust in Him and Him alone. Please stop by the SALT blog to see the other DT creations and if you're feeling inspired to create something based on this week's topic, leave us a comment with a link back to your blog or gallery. We'd love to share in your work!! I'm back safe and sound from our Stamping Around PA event!! It was a blast and I'll have more to share this week! For now, you can check out some photos of our location on the Stamping Around web site and I'll leave you with a photo of our group of instructors! 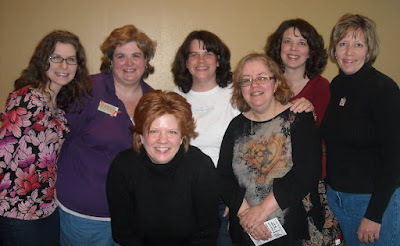 From left to right... Korin Sutherland, Tammy, Becky, me, and Julie Masse. In front is Charmaine Ikach and Kathi Rerek. Check back later this week for more! No new cards for posting today...have been spending my time this week getting ready for the next Stamping Around event, taking place starting tomorrow in PA! We are beyond excited!! The location is just amazing, we have packed classes, and fabulous teachers!! Oh yeah, and lots of amazing prizes for our attendees!! I'll do my best to get photos posted from the event... 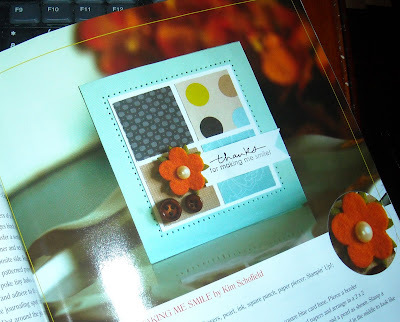 So...I leave you with a few random pictures...First, a photo of a card I had published in the October issue of CARDS. Yeah! It's so funny the cards that get picked for publication...always seems to be the less complicated ones. I guess keeping it simple is a good rule of thumb! Next...this excites me so much I have to share it with everyone I know...This fabulous chair that I purchased at a yard sale for $7.00...that's right $7.00! 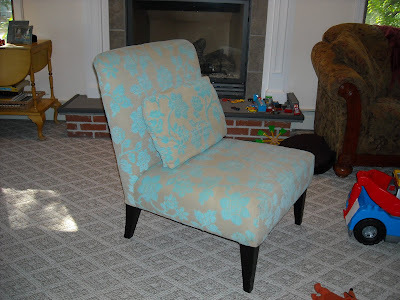 It is in perfect condition and is amazingly comfortable. I'm still on the fence on whether or not I'll recover it...it does go nicely with our new leather couch (not that couch shown in the background) but the fabric is a little funky. Maybe funky can be good..no? And last, I'll leave you with a picture of my ugly mug...Complete with a brand new and blown straight hair cut! I had about five or six inches cut off and I love it...I can rarely get it as straight as my stylist but it's definitely easier with it shorter. Since I'm headed into my (***gasp***) mid-40's, I thought it was high time I went, at least sometimes, for a more grown up style. I mean how long can one wear big, curly hair? ;-) Have a wonderful weekend!! Someone please tell me that Christmas isn't just around the corner...I am not ready I tell ya, not ready! Oh, I have a few ideas present ideas in my head but the time to shop just doesn't exist! LOL! Christmas is actually my favorite holiday...I love the music, decorating the tree, seeing the excitement on the kid's faces in the morning, spending time with friends and family...ahhh, it's all wonderful but sometimes it's too darn exhausting leading up to the actual day. I say let's throw out this whole gift giving thing and just spend quality time with the ones we love! Wouldn't that make things much less stressful? At the very least, there should be time for some holiday card and gift making!! I taught a class last month at Wholly Scrap where we made a cardstock box that was filled with four tiny note cards, each 3.25" x 3.25". I found the box directions on Splitcoast and simply modified it to fit my needs. 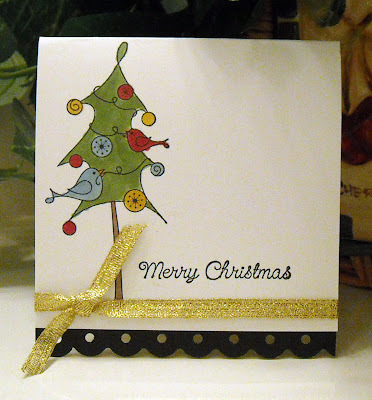 The fabulous paper that I used on the cards is from Basic Grey and it is just lovely. It has this wonderful deep plum color in the papers that goes so nicely with the light blue and pink colors. Seems to be the hot holiday colors this year and I adore them! (If you click on the above photo you'll be able to get a better look at each of the cards.) 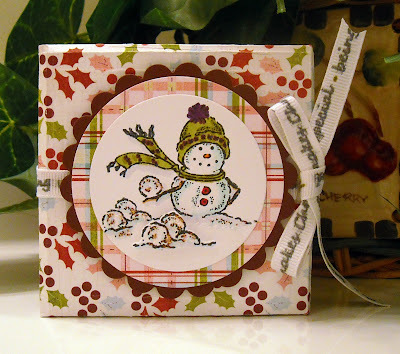 The images are all from an Impression Obsession stamp set and these snowmen are just delightful! I love snowmen and have a hard time not making a purchase every time I see one during the holiday shopping season. Each image has been colored with Copics and the snowballs all have a hint of Stickles. I am holding this class again on 11/20...so...if you're in the New England area and would like to attend, send me an email or leave a comment. If you're not in the immediate area but are interested, I'd be happy to send you a kit along with detailed instructions. The cost for the kit and class is $20. Please RSVP by 11/13.. Thanks so much and happy snowman days! 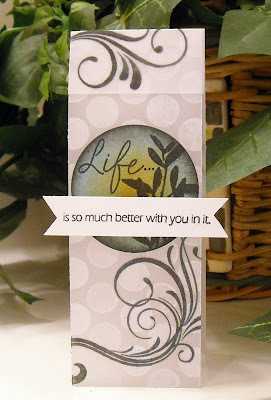 Today's Tip: Create magic with a Cuttlebug embossing folder and Just Rite stamps! I had a lot on my plate last night and was slightly stressing over the fact that my brain was completely void of any brilliant ideas for this week's Keep it Simple Sunday post. (Truth be told, my brain was void of brilliant ideas pertaining to anything important!) Since my now 8x8 foot craft room is small and filled to the rim with far too many pieces of cardstock and ribbon, it's always a nice surprise when I'm riffling through my piles of unorganized scraps when I come upon not only the perfect piece of paper but the perfect idea! 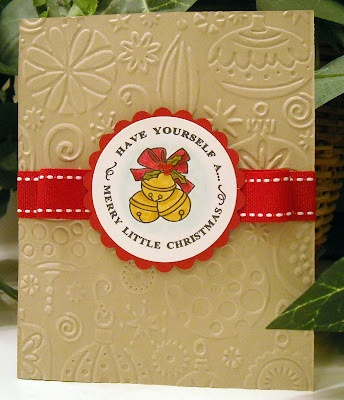 When my stamping friend came over a few weeks ago she brought with her a few Cuttlebug embossing folders and some holiday-themed Just Rite stamps. So before she left I ran a few random pieces of cardstock through the Cuttlebug and stamped some of the Just Rite images onto another piece of cardstock and that, my friends, are the two pieces of paper I found in my giant pile 'ol scraps last night! The light bulb instantly went on and in under 15 minutes I had myself a quick and easy Christmas card, perfect for today's post! 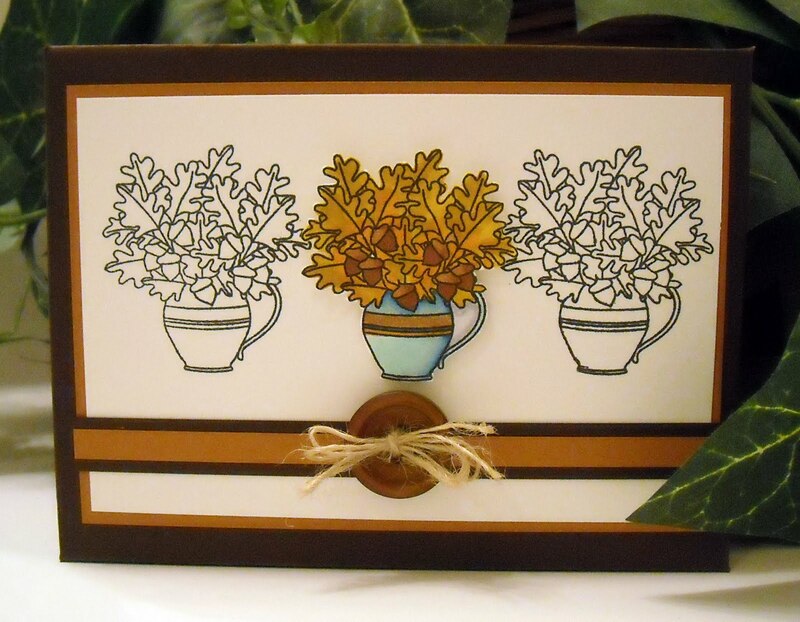 The fun thing about these quick and easy cards (besides being...well...quick and easy) is that it's also quick and easy to recreate this card without a lot of instruction. I adore this embossed image and it's so pretty you really don't want to cover it up so using a the small circle in the middle of the card was perfect. I colored my Just Rite image with Copics, cut it out with my Nesties and layered onto a scalloped circle because, let's be honest, I have a thing for scalloped circles. 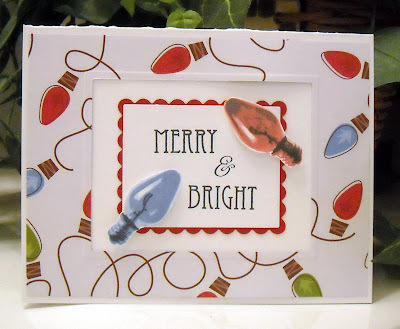 I added a bit of lovely bright red ribbon from Papertryink and voila, I was finished with my card and ready to cross a few more things off of my very long to do list! Later this week, I'm off to PA to celebrate the last Stamping Around event of 2009!! Be sure to check back in later in the week and over the weekend for updates and pictures from the event...We have a packed house in PA and we can not wait to meet everyone! !